This film studio features a green screen, black and white backdrops, LED and florescent lamps, and tripod stands. Cameras and additional equipment are available for check out at the Circulation Desk. Alternatively, you can bring your own recording equipment. The film studio can be used for photography and filming. Students should meet DML staff in Ellis Library, room 153 before heading up to the film studio. Go to the left hand bottom corner, and click on “Media Browser”. Use this to find and import your video clip. You can drag and drop it or open it with the folder settings. Also import the image you are using for the background. You can see the video image on the right part of the screen, as well as the Timeline panel, where you can edit your video and add effects. In the timeline panel, you can slide the red arrows to cut your video image and audio as needed. In the bottom left hand panel, click “Effects” from the top menu. Choose the “Video Effects” folder > “Keying” > “Ultra Key”. Drag the Ultra Key onto your clip in the Timeline. Click “Effect Controls” in the top left-hand panel, and Ultra Key should be visible. Select the eye dropper icon. In the panel that has your video image, select the green background. If not all of the green is selected in your image, choose the “Aggressive” option in the Ultra Key settings. In your Timeline panel, drag so that your video clip is in the middle track. Drag your new background image to the track beneath the video. Make sure that the video and image bars are the same length in the timeline panel. Press the space bar to make the video play. Do the audio and images match up? H.264 will create an MP4 video file type that is playable on most computers, tablets, and smartphones. 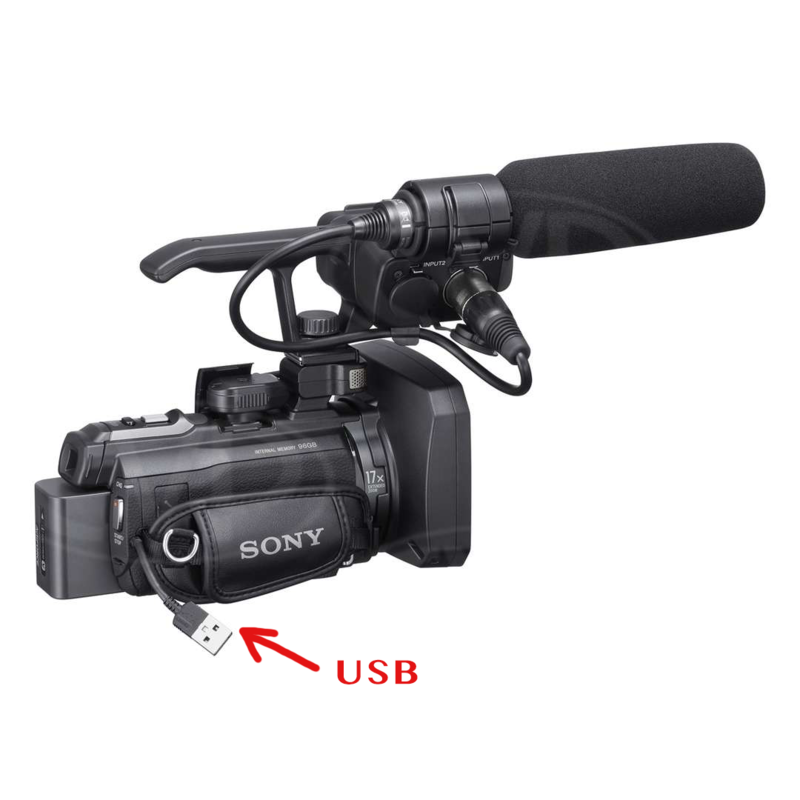 After you have finished recording your video, unhook the USB attachment on the right side of the camera. Use the USB extender to connect the camera to the computer. Use Quicktime to open the file. Trim the unnecessary parts of the video away, save and name it something identifiable. Adobe Suite is a software suite of graphic design, video editing, and web development applications. These programs include Photoshop, Illustrator, InDesign, After Effects, Dreamweaver, and more.